A simple interactive art exhibit (and grade project) stunningly summed up Alzheimer's - a disease and experience many of us struggle to explain to others. 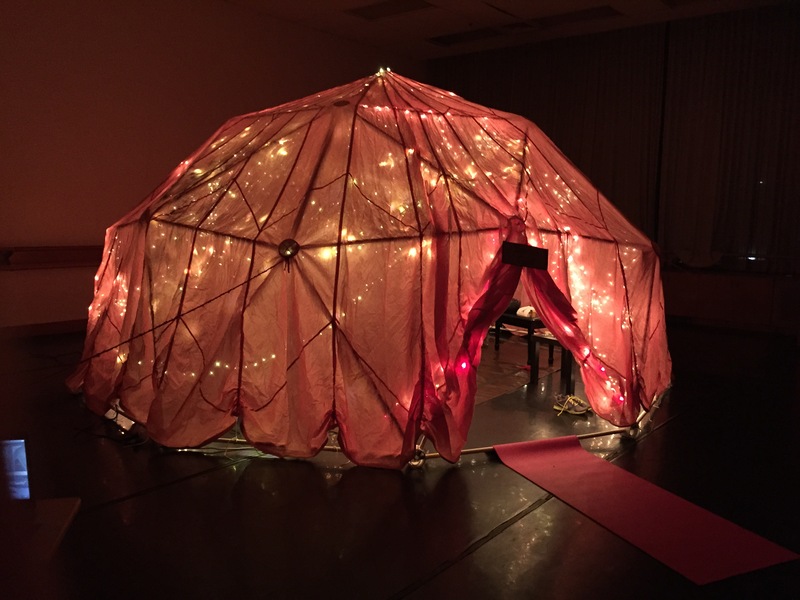 Using a pink parachute, Christmas lights, yarn, music, photographs and memories, three University of Texas students created a five day guided journey through the brain of an Alzheimer's patient. This interactive art installation was created as part of the 2015 Cohen New Works Festival at the University of Texas Austin. The installation was a re-creation of the brain of Alzheimer's patient Fran Nicholson and condensed the progression of the disease into a work week. This video begins with the introduction that ran at the entrance of the art installation and can be heard in the background in the featured footage from all five days. Also included are visitor comments and the student creators talking about the making of this exhibit. Fran Nicholson was my mother. I always hate using that in the past tense but I must - Mom died last October. One year ago, I walked through this exhibit and filmed the changes each day, often breaking down into tears and having to stop filming for a few minutes. Then I would continue - I knew this would be something I wanted to share some day with the world. It's only now that I have been able to mentally sit down and edit the whole thing together. For more information, read the story of Fran's Alzheimer's journey in the book Surviving Alzheimer's with Friends, Facebook, and a Really Big Glass of Wine. Dayna Steele is the author of Surviving Alzheimer's with Friends, Facebook, and a Really Big Glass of Wine. She is also the Chief Caring Expert for Caring.com and writes daily for YourDailySuccessTip.com.